Shifting from lazy summer days to a busy school year can be overwhelming. Hallways to Health school-based health centers (SBHCs) have been helping students, school staff, and employees make a smooth transition by improving their social-emotional wellbeing. Hallways to Health SBHCs are equipping students with mindfulness techniques to keep in their back pocket. In San Fernando, CA, at San Fernando High School’s summer program for incoming 9th grade students, Health educator Aurora Chavez taught coping mechanisms and breathing techniques to reduce stress, using the Niroga Institute’s Transitional Life skills curriculum. Students also learned to identify and celebrate their competencies using the Shield of Strength activity. Chavez noted that students who completed the program were more confident and continued to use their new stress-reduction skills. Other Hallways to Health SBHCs are making social-emotional health a school-wide priority. 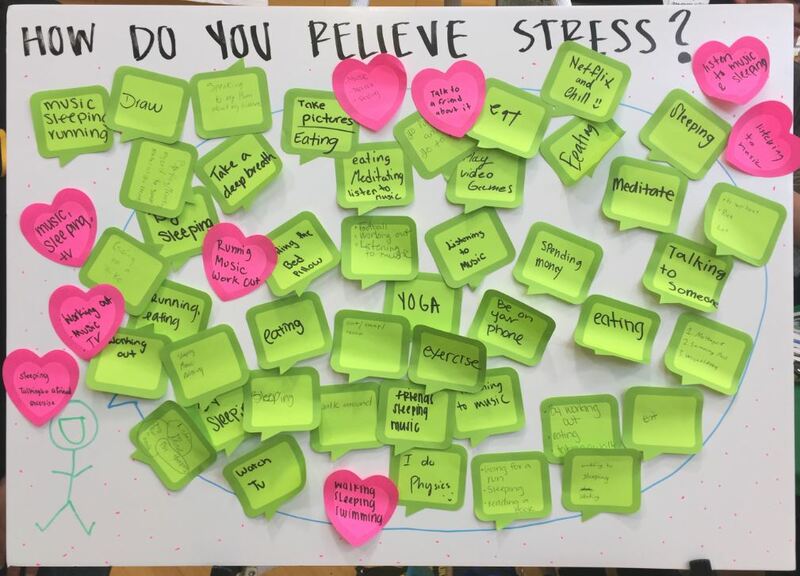 In Beaverton, OR, Merlo Station High School SBHC, in collaboration with its school administration, created a mindfulness curricular requirement to be carried out several times a week in all home rooms and advisory periods. To build teachers’ capacity in leading mindfulness exercises, the Merlo Station Wellness Team will offer individual training to homeroom teachers as well as online resources. William Klatz, Merlo Station’s Assistant Principal, emphasized the benefit of regular mindfulness practice to build valuable life skills to be used now and in the future. 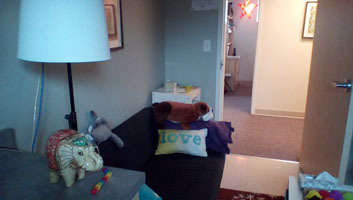 To begin tackling social-emotional health in their school, Washington Middle School SBHC created a chill-out area, a quiet and softly lit room, where students go to calm down and become centered after a conflict. According to the school nurses, the chill-out area is used daily. Social emotional wellbeing is a priority not just for students but for employees, too. In Baltimore, MD, Coppin Clinic staff at St. Frances Academy introduced a staff wellness resource manual at the new teacher orientation. The wellness manual includes information on accessing on-campus health and fitness resources. Patricia Setlow, Nurse Practitioner at St. Frances, noticed that school employees were less stressed compared to previous years. In other Hallways to Health sites, Hope Clinic at Rea Elementary School, located in Costa Mesa, CA, will implement a social-emotional curriculum in all kindergarten classrooms and Milwaukie High School SBHC, located in Milwaukie, WA, created a school-wide mental health task force. With the help of school wellness teams and school administration, Hallways to Health SBHCs will continue to advance social-emotional wellbeing school-wide through innovation and partnerships. We will continue to bring you updates from Hallways to Health SBHCs and their efforts to create healthy and happy student populations.